The days of having to scour stores for the perfect tent are long gone. Wider Selection of Products – A physical store is limited to how many products they can present whereas an online store has virtually no limits. Shopping online is the best option for comparing tents and really getting an overall view of what is currently available on the market. Saves Time and Frustration – Driving to a store, spending time walking around said store looking for the right tent, and then having to go through checkout followed by driving back home can eat up quite a chunk of time. That’s if you happen to not run into traffic or busy lines are checkout. Also, if one store doesn’t have the tent you’re looking for then you’ll spend even more time going from location to location to try and find it. Gets You a Better Deal – If there is a chance you can save money, why not take advantage of it? Online stores quite often offer better savings and discounts since they save money by offering their products online. Even larger retailers with store fronts throughout the nation still have great coupon codes for online purchases. It just makes more sense to purchase your next tent online, and here are the top 6 websites to do so. Up first is one of the largest online sources of outdoor gear. REI is a highly reputable, trusted company that easily have one of the best online storefronts for outdoor enthusiasts. The interface is pleasing to the eye, the website is extremely easy to navigate and they sell literally every type of product you could want, making them a one-stop-shop if you need something else besides a tent. While the number of models varies, you can expect REI to feature 200+ different types of tents, including models for car camping, backpacking, event shelters and more. They carry brands such as Coleman, Mountain Hardwear, NEMO, Outdoor Research, Kelty and their own REI tents (which are quite nice). REI has a 100% satisfaction guarantee on all products, including tents, and for a $20 fee you can join REI as a member and receive a 10% annual member-exclusive refund. Sierra Trading Post is both a lifestyle and outdoor gear company. They also have 12 locations nationwide and many customers purchase gear online. They have a more modest selection of tents, about 40 to 50 models at any given time, but this is because STP is a discount site. Many discount sites get a bad reputation for selling cheap, as in poor quality, gears but this isn’t the case with this website. You can find popular brand tents by Marmot and Kelty on Sierra Trading Post, and for much less than you can find new elsewhere. Some of these tents are $100+ off regular retail price which means huge savings for consumers. Another great benefit of Sierra Trading Post is their customer case. Again, discount sites often skimp on customer service and rewards but STP really shines. They have a satisfaction guarantee policy, easy returns/refunds, and also are compatible with the TJX Rewards Card so you can save more. 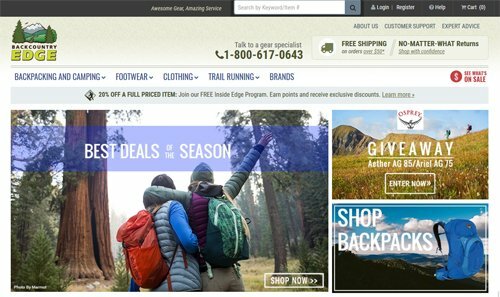 While location has little effect when it comes to online purchases, Eastern Mountain Sports is a more popular brand in the Northeast US. EMS competes heavily with REI, but many enthusiasts still find that this brand is the East’s answer to REI. For online purchases this really doesn’t make a different and they are an excellent website to purchase from regardless. EMS’s tent selection includes 150+ models of varying types, much like the other brands mentioned. They website is easy to use and you can use sorting features to specifically find the type of tent you need. Similarly to REI, you can find common brands like Big Agnes and The North Face, but EMS also has their own line of shelters. Eastern Mountain Sports has a reward program which gives members 5-10% back on in rewards for every dollar spent. You’ll also get a 15% off discount when you first sign up. EMS doesn’t have as great of a return policy but it’s still acceptable. You can return unused items at anytime, otherwise only defective merchandise can be returned. 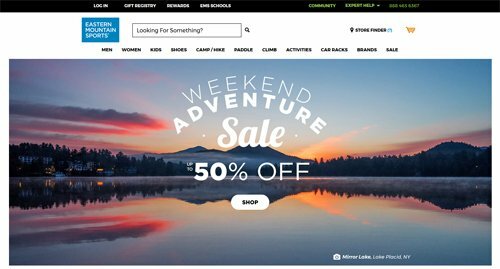 Campmor is a less popular online store than REI, but has some really cool company advantages that make purchasing from them enticing. They have been around for quite sometime and are a trusted retailer for outdoor gear. The have a nicely organized and good selection of tents, including categories for backpacking, car camping, family and specialized tents. They offer 100+ different models and tent accessories, including big name brands like Marmot, Big Agnes and Kelty. You can also find more budget-friendly brands like Coleman. At any given time there is a good chance you can find a 10-20% off coupon, not to mention shipping is free if you spend $50+. You can sign up for their TrailMail e-newsletter which will deliver the latest discount codes and promotions right to your email. Campmor has excellent customer service and a decent satisfaction guarantee. Backcountry Edge is a newcomer to the scene compared to most of the companies mentioned, having only been around since 2004. Don’t let that put you off though. This brand has already garnered quite the fanbase and their website is beautiful. Not only do they have a good selection of different outdoor gear, but their tent selection includes about 200+ models. A huge number of their tents can be found at a discounted price and they have regular sales. You can save even more money on your next tent by joining their Inside Edge Program, which is free. You’ll get a 20% off coupon for any regular-priced tent and earn points towards future purchases. Backcountry Edge has a modern, appealing feel and have friendly customer service. You can even find in-depth product reviews right on their site. Unlike most of the brands mentioned, Backcountry is purely an online retailer for outdoor gear which means they naturally can offer some discounts and advantages that physical store-front brands can’t. Right off the bat you’ll see that any purchases over $50 get free 2-day shipping. Signing up for their email list also means you’ll know when they have discounts available. Their tent category yields 600+ hits from more than 40 different brands. The shopping filters makes it easy to search by brand, seasonal use, capacity, type (backpacking, car camping, etc), price, and average customer reviews. Those new to camping will find their customer guides to tents very helpful. They have quite a selection of articles to help you find the right tent for your needs. Backcountry has a great return policy, including a 30 day no-questions returned on used gear. They have excellent customer support, and their customer service reps are outdoor enthusiasts themselves. 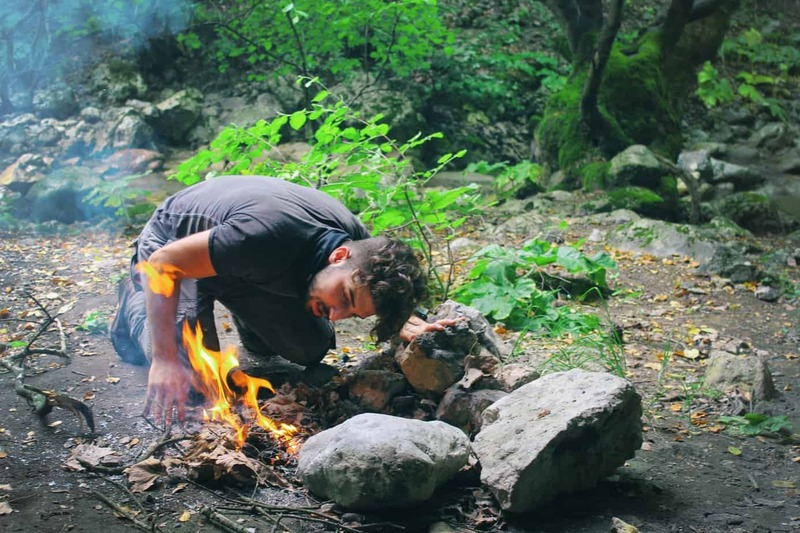 Buying an investment piece of outdoor gear like a tent unseen/online may seem a bit daunting but you can trust these 6 featured websites to treat you right. Most of these websites are mobile-friendly, so you can browse and purchase right from your phone on the go.